We are in business to provide local and long-distance transportation of household and office goods; warehousing and storage services; packing and packaging services; logistics consulting and other related services to individuals and corporate bodies. •	Non – Profits and Charity organizations that have cause to move goods and materials from one location to another. We realized the volume of individuals that relocate and organizations that relocate or set up a new branch within and outside Lagos state, against the few professional moving company in the country. 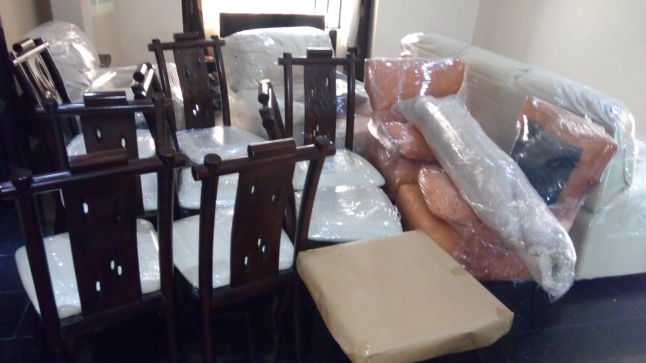 This is why with the experience I have working in related industry, I decided to start Heyes-Cole Movers to ease the stress of relocation and also provide much better relocation services. We have perfected our plans to charge competitive rates since we have minimal overhead compared to our competition in the industry. We also evaluate our price based on the size of office/apartment and inventory that would be moved. We will ensure that we leverage on price to win over customers; our prices will be affordable and negotiable. The fact that our business door is open to both individuals and corporations means that we will have different price range for different category of clients. As the business grows, we will continue to review our pricing system to accommodate a wide range of clientele. Key partners: Real estate companies, Interior Decorators, Google Adwords. Revenue Streams: different sizes of apartment relocation, different sizes of office relocation, haulage services, courier services. Political: The unstable policies and lack of clear agenda of government poses a treat to business. Economy: High cost of living sparked by recession affects people. Young Entrepreneur of Nigeria business Fund 2018 scheme. Our Business won a business grant from Young Entrepreneur of Nigeria business funding 2018 scheme.